For buyers this is the era of ‘playing it safe’. The cost – benefits equation calculated in respect of each major purchase decision has a vital new dimension – that of risk. This is having a major impact on the nature of decision making. The appetite for risk has diminished greatly. ‘Steady as she goes’ is the motto for organisational buyers in this time of market turbulence and uncertainty. Managers are increasingly reluctant to put their neck on the line for a risky project, purchase, or vendor. Buyers are increasingly asking the ‘what if’ question and are more sensitive to risk than ever before. That is risk in all its forms; business risk, project risk, technology related risk, supplier related risk, etc. Buyers are considering every eventuality, calculating every risk and taking fewer chances. How buyers are responding to heightened risk is highly predictable – exercising greater control, with more analysis, consultation, planning, budgeting and so on. Inevitably buying decisions are being delayed. For many buyers the safe choice is increasingly seen as ‘the best choice’. That does not mean selecting; the best technology, the best solution, or even the best vendor. It means the safest! The expression ‘nobody ever got fired for buying from IBM!’ is more relevant than ever. This has long been the case, however, today’s larger buying groups, more oversight and longer buying cycles, combined with the turbulence of the marketplace, have accentuated the trend. When it comes to risk smaller vendors can have a challenge in quelling buyer risk. That does not mean that it cannot be done, but it does require a special effort. ‘Playing it safe’ is build into the design of the buying process – the steps, the consultation, the multiple decisions makers, the hand offs the signoffs the documentation and ultimately the business case. Indeed, the business case has its own section listing the risks, categorising and ranking them and assessing how they can be mitigated. 1. Sellers must be more sensitive to the issue of risk for the buyer. They must seek to minimise, or mitigate it at every turn. Pilots, demos, phasing, 3rd party validation and reference sites are increasingly important. In addition, vendors must blend selling with delivering, allowing buyers to experience their skill and expertise in advance of making the buying decision. 2. 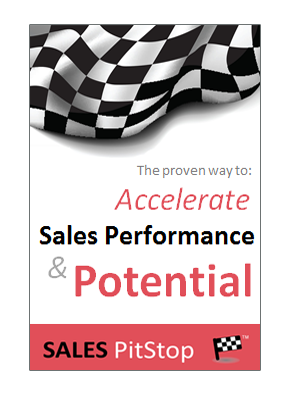 Salespeople need a 6th sense regarding buyer concerns, that is because they often go unstated. They must continuously look out for any signals that the buyer may be getting cold feet. 3. The sales person is in the insurance and actuarial business. He, or she must openly address any issues of risk or anxiety directly, albeit skilfully. He, or she must bring risk out into the open. 4. Tackling gaps in information, or understanding is key – as these can lead to unnecessary concerns about risk. 5. Earning the trust of buyers is more difficult than ever, but it is something that sellers must strive earnestly to achieve. Sellers must instil confidence – starting with the first visit to their website and the first meeting with a salesperson. Smaller vendors must make themselves look, and through alliances to act; bigger. 7. Buyers often screen supplier using criteria such as ‘experience of our industry’, ‘relevant reference sites’ etc. to minimise risk. 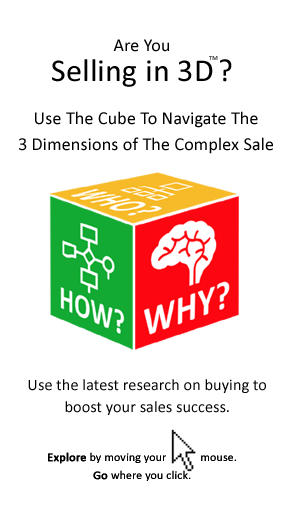 Sellers must address these factors up front.